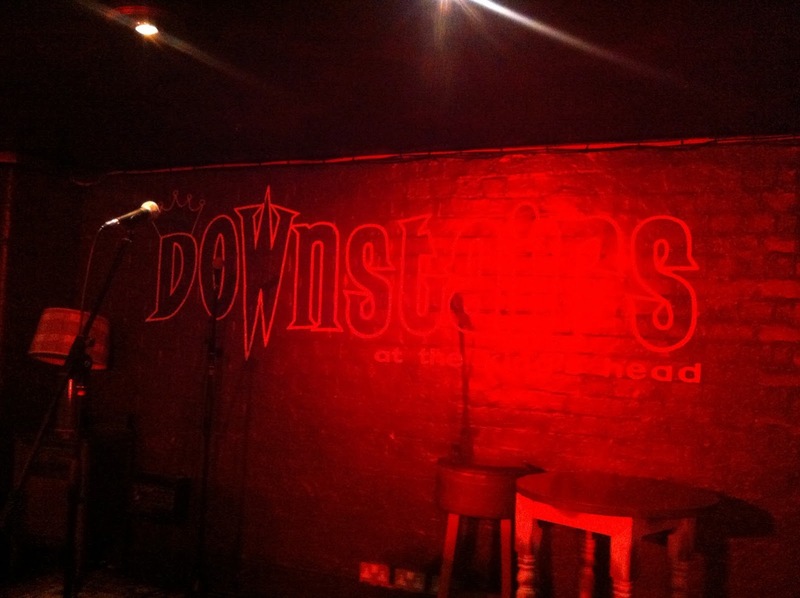 Last Saturday, on the spur of the moment, and because of The Englishman's recent interest in stand-up comedy (more about this later in the year), we decided to check out the Comedy Cabaret Downstairs at The King's Head. I'd heard great many good things about the acts that perform there, so I was very surprised when we got tickets at the door an hour before the 8.30 pm performance. Thus convinced that we were in no hurry to grab a good seat, we went off to have some pan-Asian food at the nearby Tootoomoo (a review coming soon). But later when we descended the stairs at quarter past eight, the place was packed. The only available seats were either behind a pillar or right by the stage. Guess which one we (or rather I) opted for? 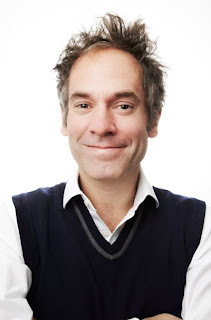 We regretted that decision as soon as the compare, the excellent and hilariously funny, Dominic Frisby, started ripping into our similarly naive neighbours. ('Told you so,' whispered the Englishman in my ear) I think we got off quite lightly. Dominic asked us what we did for a living and I even got in a plug about my novel, The Red King of Helsinki. Not bad work, eh? The rest of the acts that followed Dominic Frisby were equally good, and we laughed like drains most of the night. My particular favourite was Toby Williams, who under the alias (I presume it was an alias, because this is how he was billed) of George Ryegold, did a really convincing series of sketches in a role of a disgraced doctor. There is embarrassment galore in people's illnesses anyway, and playing a delusional GP who's been struck off the register worked beautifully for the set. I really liked Ryegold's understated delivery, and his act made me think of Krister Henriksson's performance in Dr Glas. Comedy is just the other side of the coin from a tragedy? The next day I spotted Williams/Ryegold on TV. He's the brilliant vet in the Specsavers ad about a (not so) dead cat. It's a small world for comedians. We will definitely got to a Cabaret Night again, and will also check one of the Comedy Try Out nights for new acts. 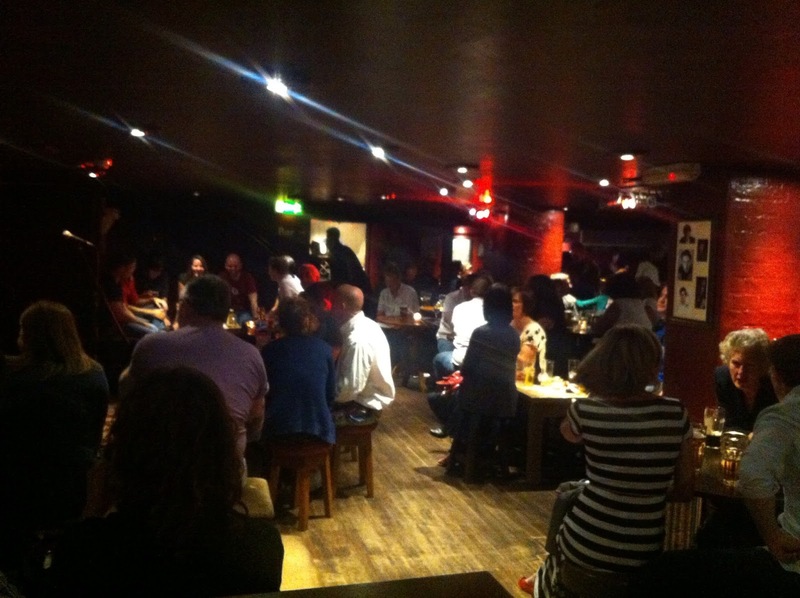 Tickets are £11/7 for the Comedy Cabaret and £4/3 for Comedy Try Out Nights.